Our range of products include polywoven airbags. As a quality-oriented organization, we are focused to provide our clients excellent quality Polywoven Airbags. 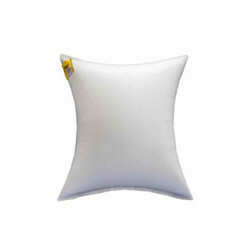 These air bags are tested on several quality provisions by vendor’s quality controllers for supplying a flawless range. This air bag has high burst strength to withstand extreme shipping conditions. Offered air bags are provided in various specifications as per the requirements of the customers. The valve flapper allows an initial inflation of the bag to spread the load, then the bag can be removed to reduce the void with honeycomb panels. The bag is then re-positioned for final inflation. Looking for Polywoven Airbags ?